Protect your expensive glass windows with our Oxford welded grilled window frames. The bars are welded to the window frame to add durability, strength, and to protect your horses with a close bar spacing. With the Oxford welded hinged grilled window, you have the peace of mind that your horse stall window will be protected from your horses. The hinges simplify opening your windows for fresh air! This 36" x 24" fold-down hinged window grill kit comes mostly pre-assembled. This window grill kit protects your horse stall windows from being broken and your horses from any glass injuries! *RAMM is the industry's premier hot-dip galvanizer for horse stalls. Our Oxford welded stall window grills are durable, strong, and are available in either hot-dip galvanization or powder coat painted. These horse stall window grills have close bar spacing to protect your horse and your stall glass windows. These Welded stall window grills are durable and made to stand up to tough horses. 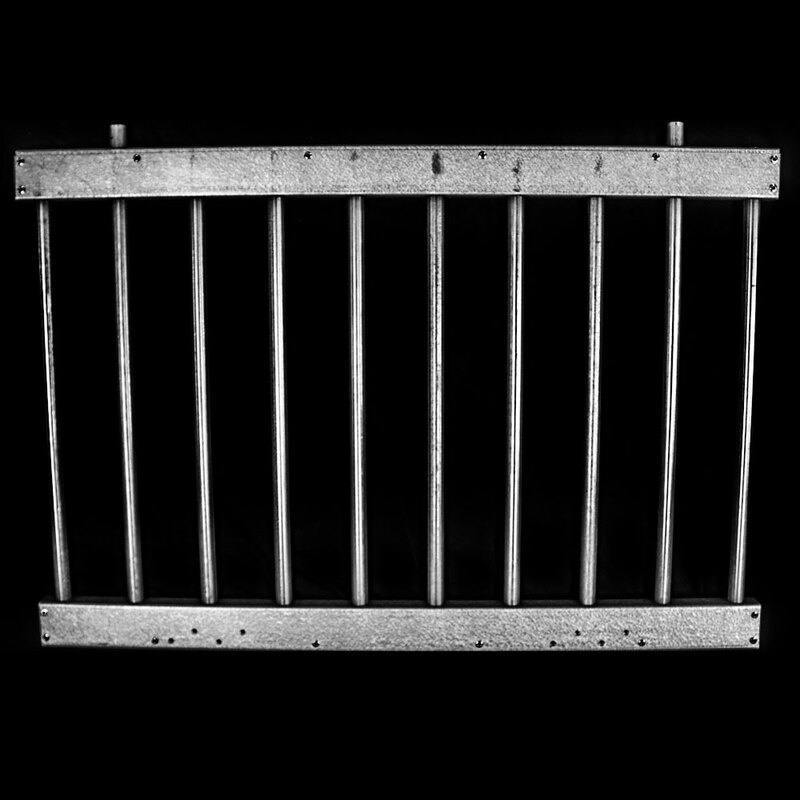 They feature a 14-gauge galvanized body with 7/8" 16-gauge bars spaced 3.25" apart on-center. 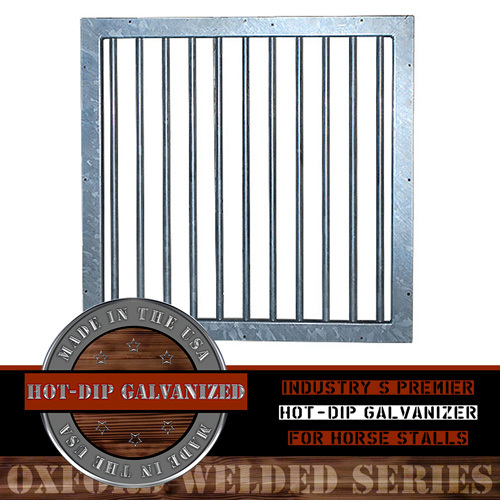 The Oxford welded horse stall window grills come in two different designs. One is a single one-piece frame and welded bars, while the other is a two-piece frame and window insert with hinges. This window grill lets you open the window, so you can clean your stall window from time to time.